“Apparently I had already written a poem for that Paintoem that I wasn’t aware of,” says Cn. “I felt this poem published by itself is bland. So I had to come up with an image. 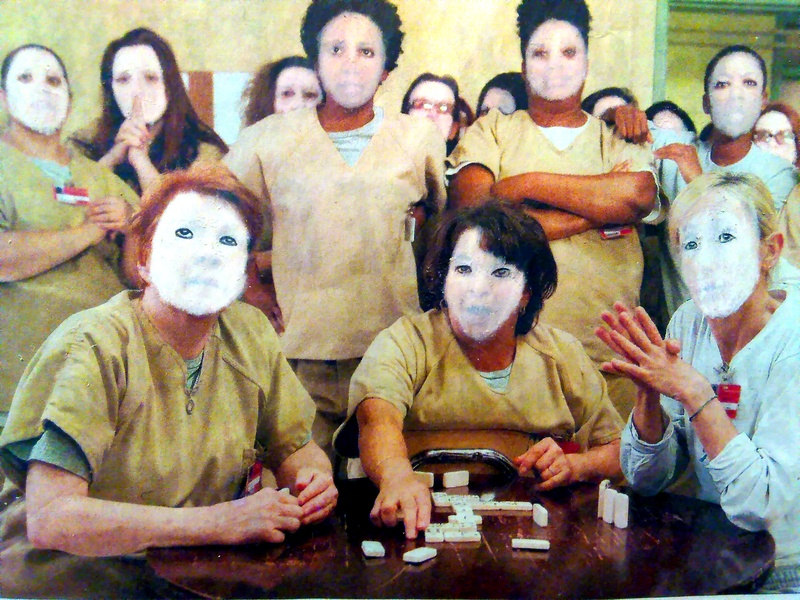 I used a photo from “Orange is the New Black,” whited out their faces on the theory of the nameless-faceless people. I’m working on another piece in which the piece’s title comes from a classic song. I left the eyes for Billy Idol’s, song, “Eyes Without A Face,” and that would represent the nameless-faceless 175+ women serving a prison sentence of Life Without the Possibility of Parole (LWOP), at the Central California Women’s Facility (CCWF).